The Last of Us Part II surely is one game many people are looking forward to playing when it’s released next year. Actually, it would be an understatement to say that developer Naughty Dog’s post-apocalyptic zombie game has generated excitement – it’s actually one of the most eagerly-anticipated games of the decade. And gamers got to see more of the game as Sony released a new trailer for this sequel which aired during its Paris Games Week briefing last week. Despite its great production values though, some have criticized this trailer due to its violent content, as amongst other things it shows people being hanged (and even arms being broken with hammers…). The Last of Us 2’s latest trailer is no doubt very violent – actually the most violent I recall seeing from Naughty Dog or any other developer in quite some time – and might even put some sensitive folk off playing this game. But Sony Interactive Entertainment Europe president Jim Ryan has spoken up for Naughty Dog’s trailer, defending its showing during the PlayStation Media Showcase held at Paris Games Week 2017. “The Last of Us obviously is a game made by adults to be played by adults. I should never prejudge this but it will probably be rated 18, I think it’s fair to say”, said Ryan in an interview with The Telegraph (via GameSpot). Of course, given that the first Last of Us game sold millions of copies, there is obviously a market for this kind of game (something Ryan highlighted in the interview), while the Sony exec also said the company is merely fulfilling its role as a platform provider. “I think a platform holder provides a platform and the people who make games, whether they’re our own studios or third-party publishers, they bring the content to the platform. We provide the platform”, said Ryan. However, Ryan also added that Sony wants to make sure the game is played by people who are old enough to do so. “The studio was seeking to portray a game that will be rated as suitable for adults to play and that’s what we did”, added the Sony exec. 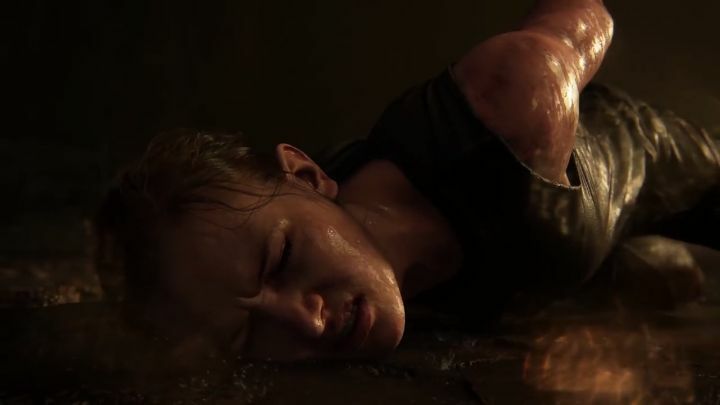 Ryan does have a point about the adult nature of this game though, and clearly The Last of Us Part II’s latest trailer does border on the tasteless… Because there’s no need for a renowned studio like Naughty Dog to resort to extreme levels of violence in order to promote a video game, much less such an eagerly-anticipated game like this one which is likely to sell in droves no matter what. So despite the controversy surrounding this trailer, it would be a great thing if The Last of Us Part II turns out to be a great game when it hits shelves sometime in the future, and hopefully we’ll get to see more of Naughty Dog’s upcoming release soon enough too.